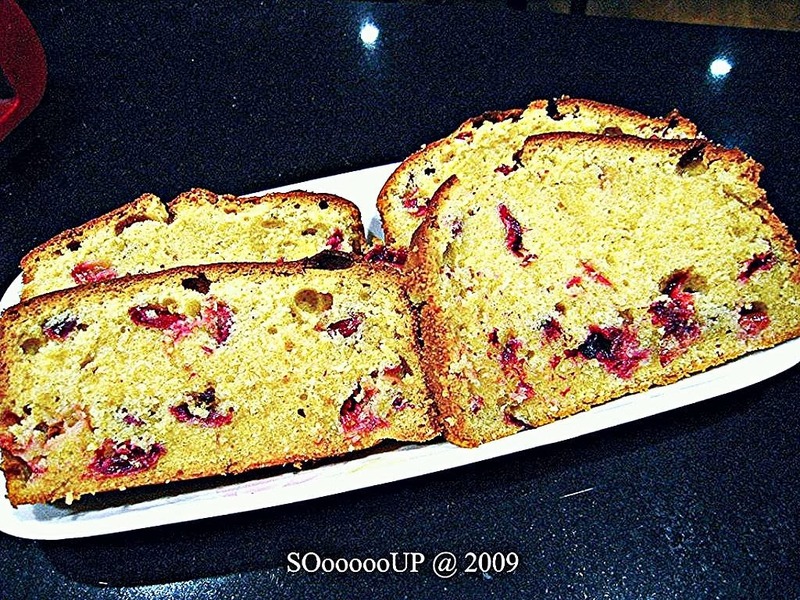 Bake a pound cake from Pichet Ong "The Sweet Spot" using fresh cranberries and condensed milk. The cake turns out buttery rich without being too dense as he claimed. The milk helps to keep the cake moist and the cranberries balance the sweetness.